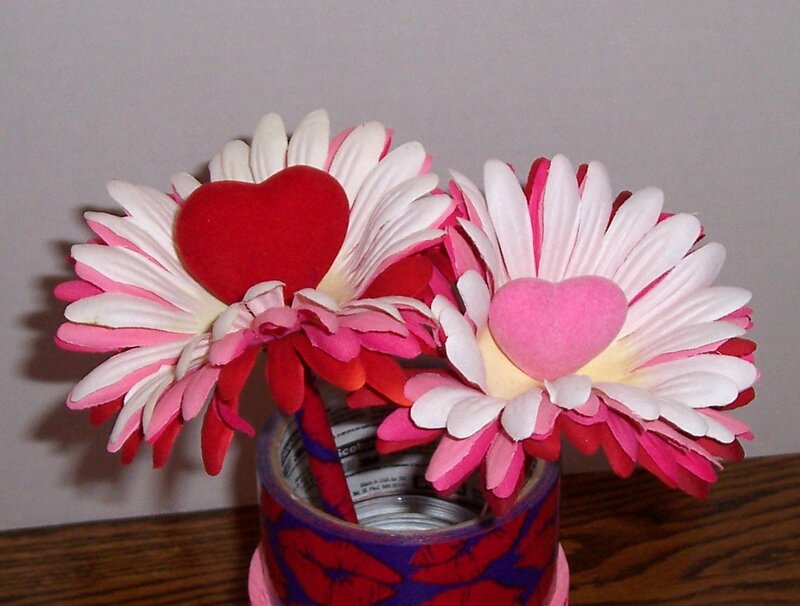 Flocked foam hearts surrounded by daisy petals. Hearts are red and pink, petals are white, pink, hot pink and red. The pens are wrapped in red, pink and white duct tape. Set of 4 pens.